Cervantes and Jurien Bay Accommodation. Looking for Cervantes or Jurien Bay Accommodation, staying in the area for a few days, maybe a long weekend getaway or even a holiday enjoying the beaches, fishing, visiting the Pinnacles or going 4 Wheeling on one of the many 4wd tracks in the area. There are 3 camping grounds and a few hotels for you to choose from if you are looking for accommodation in this area. The park has Chalets and On Site Vans for you to hire and a number of Caravan and tent sites. There are BBQ, kitchen and laundry facilities and are located close to the beach. 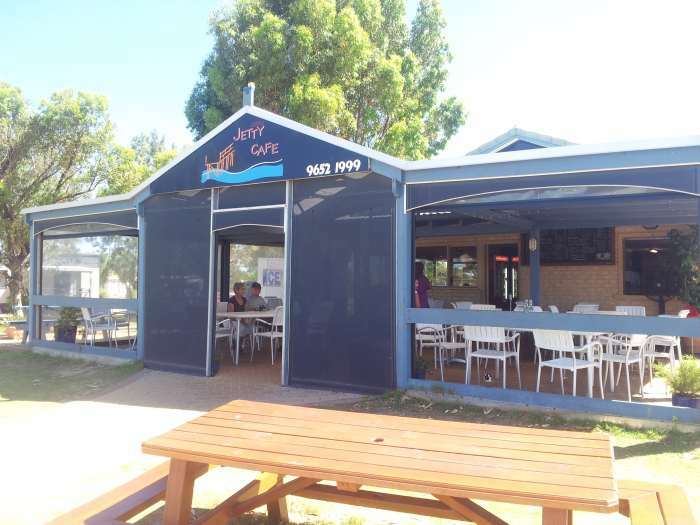 The Jetty Cafe just next to the caravan park is just 25 meters from the beach, playground and the jetty. A nice place for a coffee or a light meal. 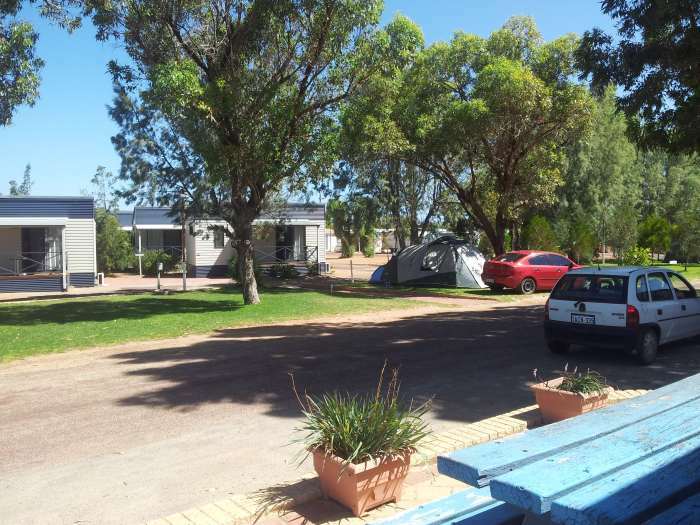 This camp site is located in the centre of town and has BBQ, kitchen, laundry facilities and halls that are available for hire for functions. Web: For more information click here. The caravan park is located in Cervantes and is only 15 minutes drive away from The Pinnacles. The park has BBQ, kitchen, laundry facilities, Coffee shop and an onsite shop where you can get groceries and your daily milk and bread. This is a 4 star B&B and the only 4 star Bed & Breakfast in Jurien Bay. The B&B is placed on a 5 acre’s property with wildflowers and kangaroos. The Heights have 4 en suite bedrooms with TV and DVD player. Check Rates and Reviews . Windbreak Bed & Breakfast Cervantes. This B&B is located in the center of Cervantes and has 3 bedrooms; two of the bedrooms have ensuite bathrooms. For more information about Windbreak Bed & Breakfast Check Rates and Reviews . This resort was built in late 2009 and is a 4.5 star resort with 26 rooms. Here you have your one private spa and flat screen TV and resort gym and pool. The resort is placed in the centre of Cervantes, handy if you would like to experience the sunset or sunrise at the Pinnacles only 17 km away. For more information about Pinnacles Edge Resort Check Rates and Reviews . Cervantes Holiday Homes has 1, 2 and 3 bedrooms homes for rent. The homes has BBQ, laundry facilities and are Pet friendly on request and located in the centre of Cervantes only 5 min walk to the beach. For more information Check Rates and Reviews . Centre Break Beach Stay is located at Green Head next to the Dynamite Bay about 15 min drive from Jurien Bay and have a range of different rooms for your Jurien Bay accommodation. Centre Break also offers Conference and Event facilities and has restaurant and bar. You will find Cervantes Lodge at Thirsty Point in Cervantes together with The Pinnacles Beach Backpackers and the Don Quixote Restaurant. You will find a wide range of accommodation here from double, Twin, Family room to 8 bed dorms if you are looking for Jurien Bay accommodation. Leave Jurien Bay Accommodation And Go To Home Page.